Your friendly neighborhood Spider-Man comes to wall-crawling life in this detailed three-piece costume set modeled after Marvel's Spider-Man: Homecoming. Includes bodysuit, mask, and gloves. 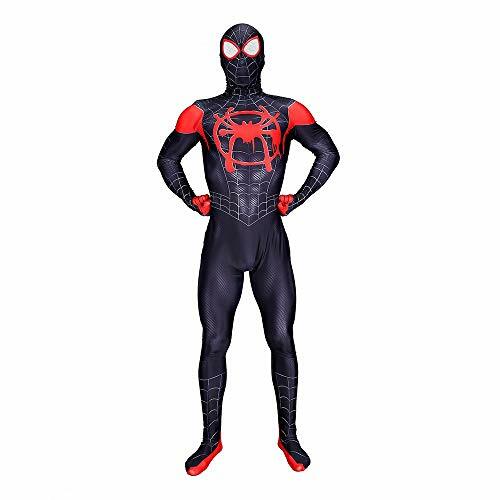 Miles Morales Spiderman Costume,Superhero Zentai Bodysuit Adult Cosplay Costumes Adult Size Chart Size S:Bust:30-33",Waist:25-28",Hip:31-34",Recommend Height:61-63" Size M:Bust:31.9-35",Waist:27-30",Hip:33-36", Recommend Height:63-65" Size L:Bust:33.85-37",Waist:29-32",Hip:35-38", Recommend Height:65-67" Size XL:Bust:35.83-39",Waist:31-34",Hip:37-40",Recommend Height:67-69" Size 2XL:Bust:37.8-41",Waist:33-36",Hip:39-42",Recommend Height:69-71" Size 3XL:Bust:41-432",Waist:36-39",Hip:41-44",Recommend Height:71-73" Note: 1.The real color of the item may be slightly different from the pictures shown on website caused by many factors such as brightness of your monitor and light brightness. 2.Please check the dimensions carefully before purchasing. 3.If you are not satisfy with something, please don't leave us negative or neutral feedback right away. Please contact us via email. We promise to provide 100% fine customer service and try best to make every customer get good mood with fine shopping experience in our shop. 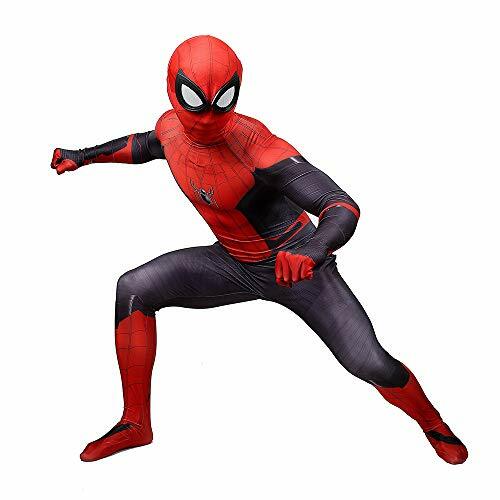 Spiderman Homecoming Costume,Adult 3D Zentai Suit Costume Cosplay Bodysuit Adult Size Chart Size S:Bust:30-33",Waist:25-28",Hip:31-34",Recommend Height:61-63" Size M:Bust:31.9-35",Waist:27-30",Hip:33-36", Recommend Height:63-65" Size L:Bust:33.85-37",Waist:29-32",Hip:35-38", Recommend Height:65-67" Size XL:Bust:35.83-39",Waist:31-34",Hip:37-40",Recommend Height:67-69" Size 2XL:Bust:37.8-41",Waist:33-36",Hip:39-42",Recommend Height:69-71" Size 3XL:Bust:41-432",Waist:36-39",Hip:41-44",Recommend Height:71-73" Note: 1.The real color of the item may be slightly different from the pictures shown on website caused by many factors such as brightness of your monitor and light brightness. 2.Please check the dimensions carefully before purchasing. 3.If you are not satisfy with something, please don't leave us negative or neutral feedback right away. Please contact us via email. We promise to provide 100% fine customer service and try best to make every customer get good mood with fine shopping experience in our shop. 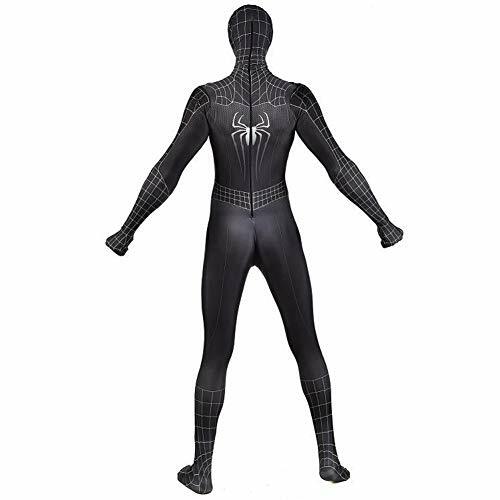 PS4 costume,Superhero PS4 Insomniac Spiderman Adult Bodysuit Cosplay Adult Size Chart Size S:Bust:30-33",Waist:25-28",Hip:31-34",Recommend Height:61-63" Size M:Bust:31.9-35",Waist:27-30",Hip:33-36", Recommend Height:63-65" Size L:Bust:33.85-37",Waist:29-32",Hip:35-38", Recommend Height:65-67" Size XL:Bust:35.83-39",Waist:31-34",Hip:37-40",Recommend Height:67-69" Size 2XL:Bust:37.8-41",Waist:33-36",Hip:39-42",Recommend Height:69-71" Size 3XL:Bust:41-432",Waist:36-39",Hip:41-44",Recommend Height:71-73" Note: 1.The real color of the item may be slightly different from the pictures shown on website caused by many factors such as brightness of your monitor and light brightness. 2.Please check the dimensions carefully before purchasing. 3.If you are not satisfy with something, please don't leave us negative or neutral feedback right away. Please contact us via email. We promise to provide 100% fine customer service and try best to make every customer get good mood with fine shopping experience in our shop. 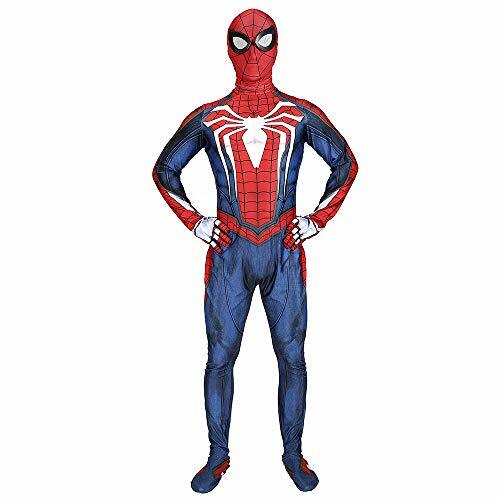 Spider-Man Cosplay Costume/Iron Spider/PS4 Insomniac Spiderman Bodysuit Cosplay Adult Size Chart Size S:Bust:30-33",Waist:25-28",Hip:31-34",Recommend Height:61-63" Size M:Bust:31.9-35",Waist:27-30",Hip:33-36", Recommend Height:63-65" Size L:Bust:33.85-37",Waist:29-32",Hip:35-38", Recommend Height:65-67" Size XL:Bust:35.83-39",Waist:31-34",Hip:37-40",Recommend Height:67-69" Size 2XL:Bust:37.8-41",Waist:33-36",Hip:39-42",Recommend Height:69-71" Size 3XL:Bust:41-432",Waist:36-39",Hip:41-44",Recommend Height:71-73" Note: 1.The real color of the item may be slightly different from the pictures shown on website caused by many factors such as brightness of your monitor and light brightness. 2.Please check the dimensions carefully before purchasing. 3.If you are not satisfy with something, please don't leave us negative or neutral feedback right away. Please contact us via email. We promise to provide 100% fine customer service and try best to make every customer get good mood with fine shopping experience in our shop. Use your powers for good instead of evil with this superhero costume! 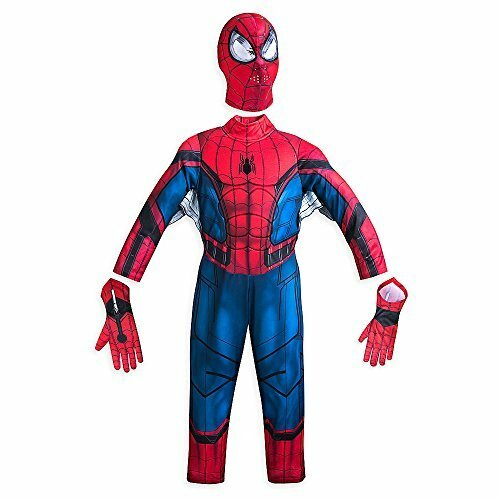 Your child will feel like a true superhero in this Spider-Man Homecoming - Spider-Man Children's Costume. Includes a muscle chest jumpsuit, with boot tops and cuffs, and a mask with hood. 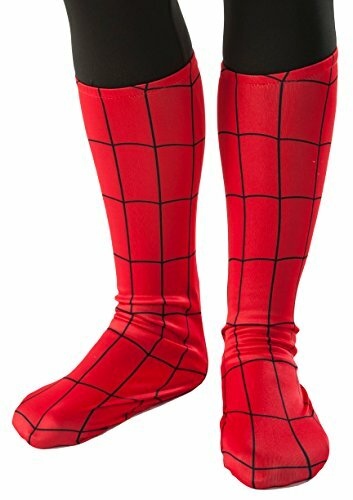 This is an officially licensed Spider-Man product. 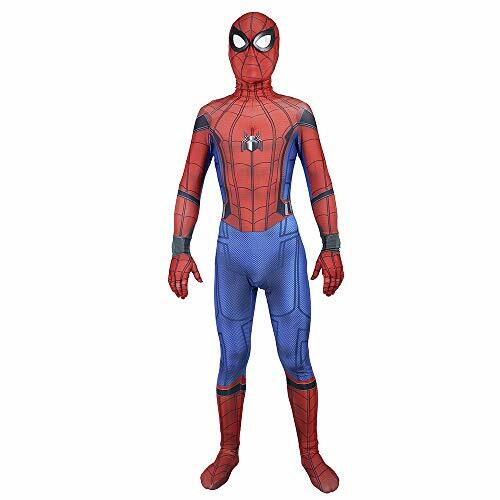 Scale tall buildings and fight the Green Goblin, in this deluxe Amazing Spiderman costume. This costume includes deluxe EVA muscle chest jumpsuit and fabric mask. Other accessories are not included, this is great on its own, but even better with accessories available in our store! Defeat the Green Goblin and stop Electro in his tracks when you put on this cute costume! The blue and red jumpsuit is stuffed with muscle padding and decorated with black webbing. The full-face mask comes with the set. 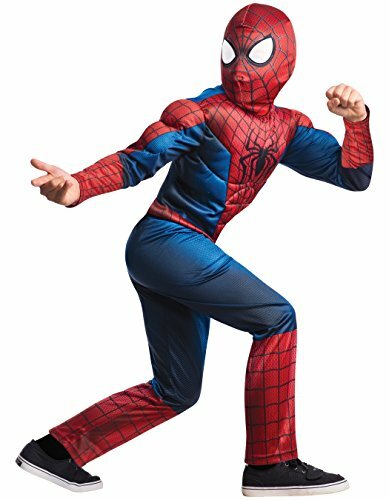 Let your child dress- up like his favorite super hero with The Amazing Spider-Man Child Halloween Costume. This outfit features a complete bodysuit with character hood. The child Halloween costume is also ideal for school plays, character reenactments, parties, parades, family occasions and other holiday productions and festivities. It is made from a comfortable polyester material. This suit is specially designed to fit boys. It is durable.